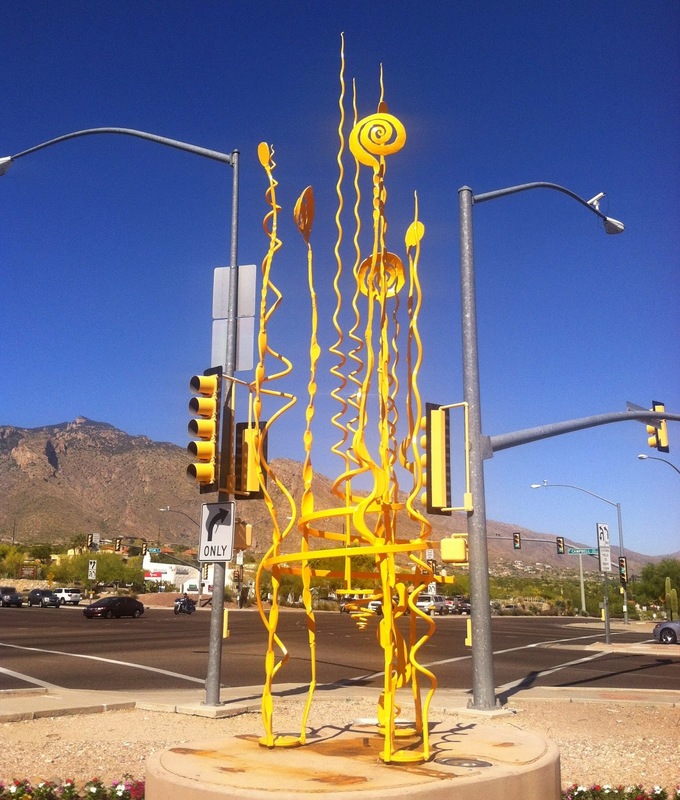 At the corner of Campbell and Skyline there is a corner plaza area that always features bold pieces of sculpture. 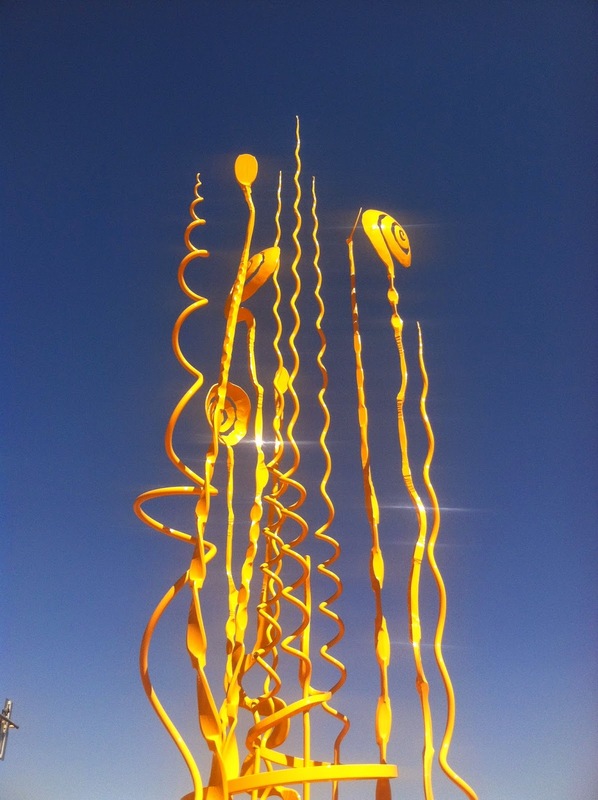 This delightful swirled sunshine sculpture is just gorgeous against Tucson's blue blue sky. Unfortunately, as you can see, it is positioned right beside the intersection's traffic lights that are painted exactly the same color!